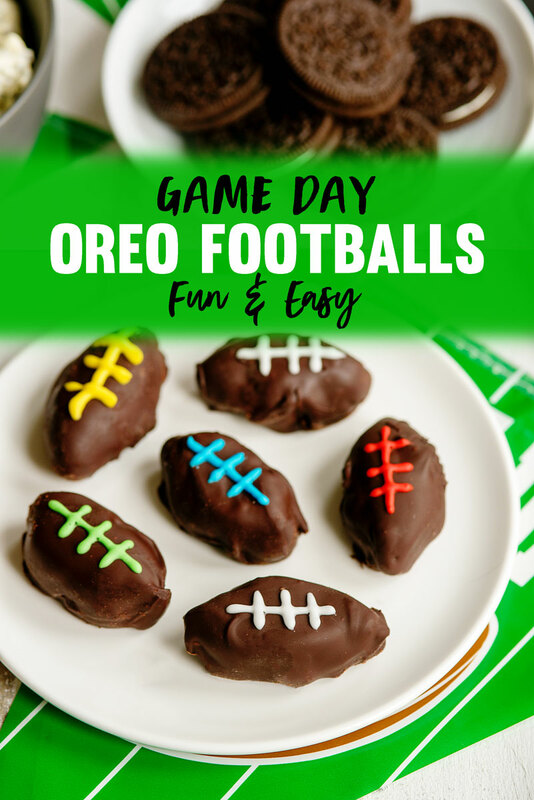 Win your Big Game party with this fun Chocolate Dipped OREO Footballs recipe. They are easy to make ahead of time to cut party prep stress. This post is sponsored by Nabisco. Thanks for supporting the sponsors that allow me to bring you beautiful and delicious content! The biggest football game of the year is just weeks away, so it’s time to start party planning! The thing I’m most looking forward to (even more than the halftime show!) is sharing these mini football treats made with OREO Cookies with our guests. I know they are going to get devoured. Read on for the recipe and for some of my Big Game party hacks! Spice up your next party with a healthy vegetarian Mezze Platter with hummus, lavash, feta, and veggies. Makes an amazing easy appetizer! When people ask for a way to make entertaining easier, I always recommend making a platter. Platters are an easy way to impress company when you’re entertaining. They are colorful, fun to arrange and even more fun to eat! 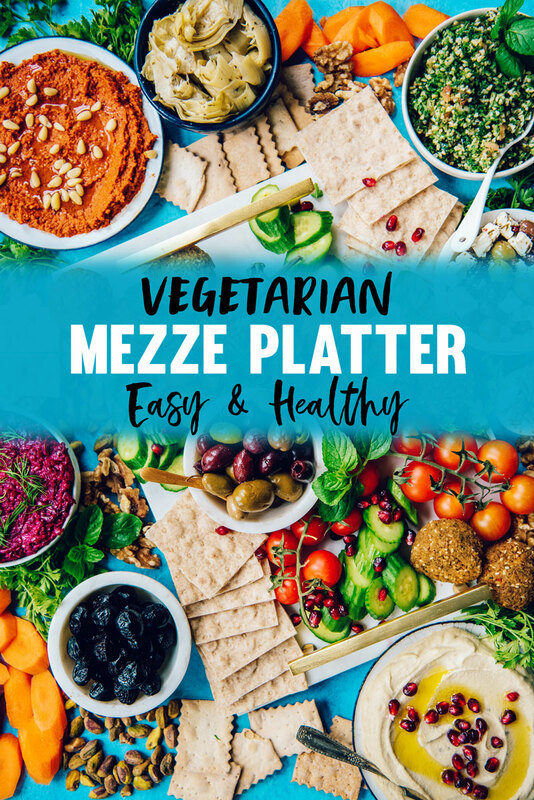 Cheese and charcuterie platters probably come to mind, but today I want to advocate for a different platter to add to your entertaining toolbox – the mezze platter. Featuring a mix of Middle Eastern and Mediterranean delicacies, this is truly a fuss-free appetizer. It’s also super healthy and – unlike cheese and charcuterie – almost entirely vegan! Everything you need to know about building the perfect charcuterie board. It’s easy to make a beautiful platter with these tips & tricks! Includes a FREE printable shopping list. You all know I love planning a good party! I almost enjoy the planning part as much as the party itself. The more we entertain, the more I value recipes and dishes that don’t take a lot of time, or can at least be made in advance. I want it all – something that is sure to wow our guests, but without a lot of effort required the day of the event. I do everything I can to keep from being totally overwhelmed and to make sure our guests aren’t arriving to a kitchen that looks like a tornado just hit. 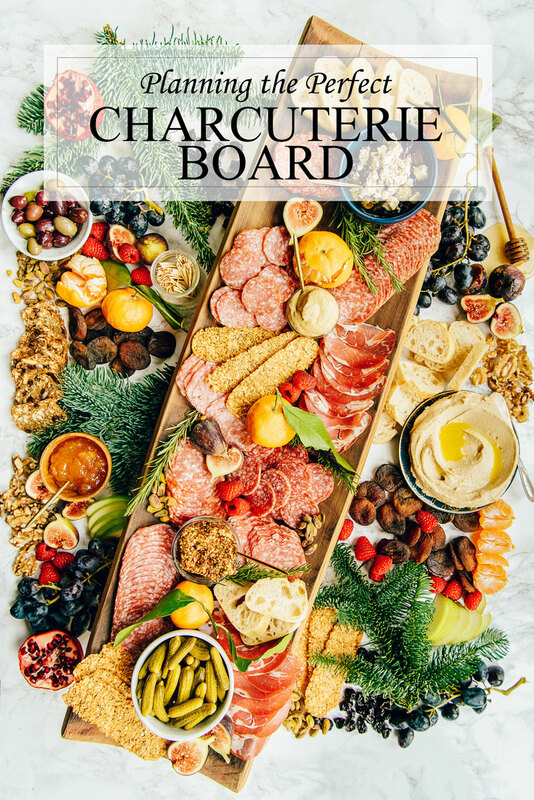 A charcuterie board is the mecca of easy holiday entertaining. It takes almost no skill to arrange an absolutely stunning platter. The key is starting with the right ingredients. 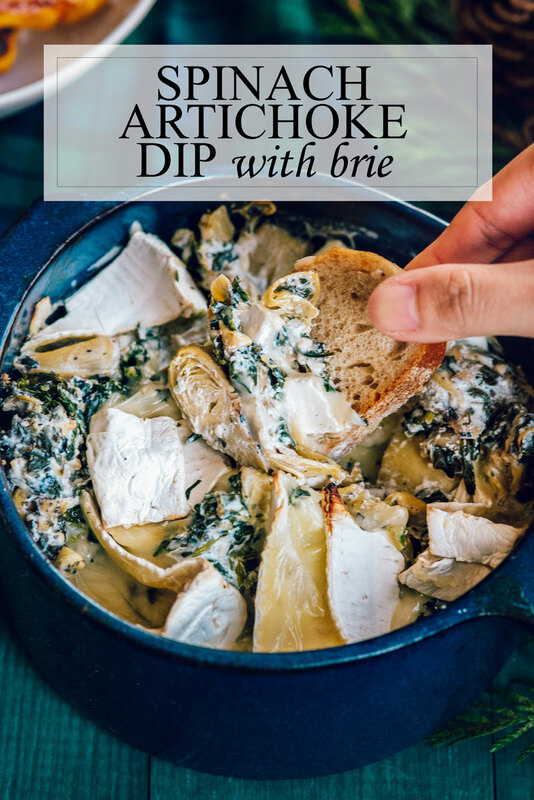 This cheesy spinach artichoke dip recipe is the BEST ever thanks to Real California Brie cheese. It takes just minutes to make and has only five ingredients! You know I love a good easy recipe. I tend to overexert myself when we’re entertaining for the holidays, in part because I want our guests to have an amazing experience, and in part because I’m a terrible control freak. To compensate, I focus on simple recipes and dishes that can be partly or completely made in advance. This cheesy spinach artichoke recipe checks all my party boxes. You can make it advance and bake it the day of, it only has five ingredients and it takes just minutes to assemble. Even a control freak like myself would feel comfortable delegating this recipe to a willing assistant – it’s that easy. 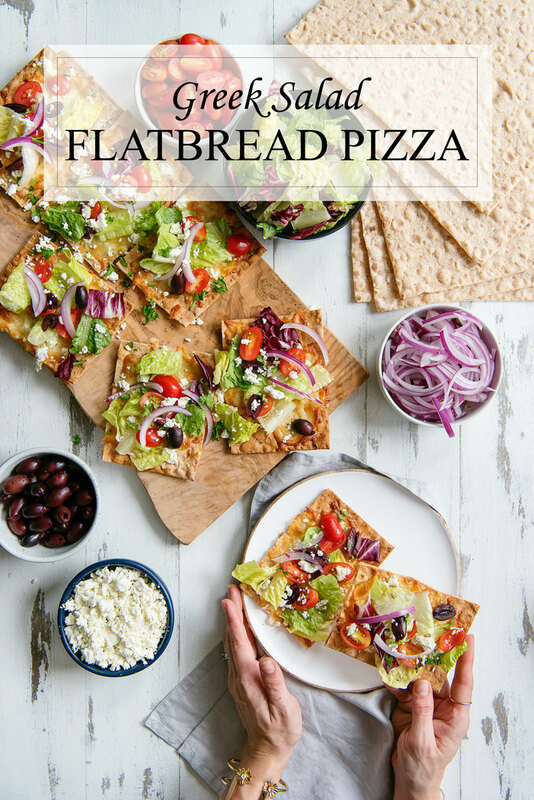 A Greek Salad Flatbread Pizza recipe? Just trust me! It’s the healthiest pizza ever, but still DELICIOUS. You’ll love the lavash crust and fresh toppings. I love having recipes on hand that work just as well for a quick snack as they do for an appetizer, or even a meal. These flatbread pizzas are truly so versatile. As if being able to eat them for any occasion isn’t enough, they also take just minutes to put together. Still not convinced? They are also totally guilt free and made with whole ingredients. No greasy crust or mountains of cheese to be found. 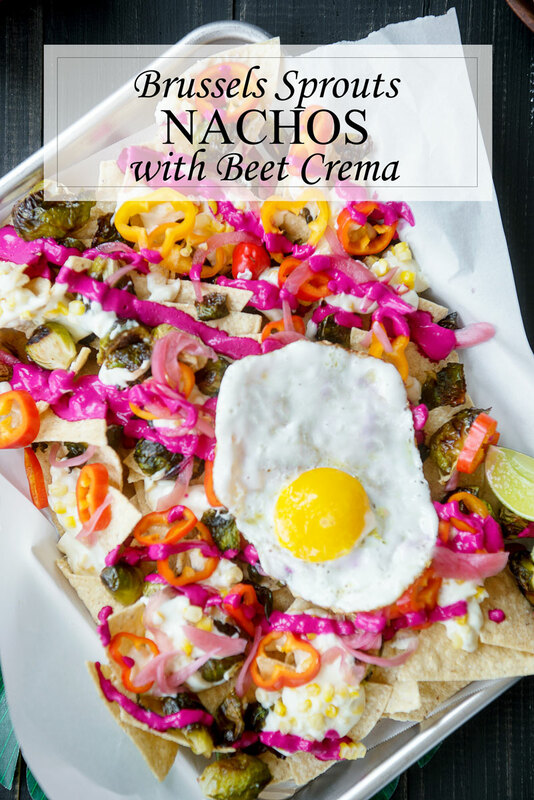 This incredible homemade nachos recipe is topped with brussels sprouts, roasted corn queso and beet crema. My mouth is watering just thinking about it! Eating the rainbow never tasted so good! Did anyone else grow up hearing the phrase “eating the rainbow” in the context of making healthy choices? The idea was that fruits and vegetables with bright colors are often healthier. Although this doesn’t always apply (rainbow sugar cookies I’m looking at you) it is a decent and fun rule to live by.